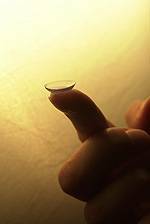 A good contact lens fit starts with a thorough eye exam at our Oakville optometry practice to ensure the most up-to-date prescription and rule out any pre-existing conditions that could interfere with contact lens wear. Looking for a wide selection of contact lens styles and brands? Then check out our extensive selection of top contact lenses in Oakville, ON.